Self-sufficiency is the quality of being content with oneself and feeling secure. People think that they can never survive on their own and thus hold on to people. However, one should have absolute confidence and learn skills to live well on one's own. Here are 22 self sufficiency quotes that can put you back on track of life in no time. Respect yourself and be self-sufficient. Happiness is a relative term that can be found in solace. Learn how to belong to yourself. If you are self sufficient then you can do the things you want to and refuse to do the things you don't. You can find every happiness you need in yourself. One who finds a way to love themselves can find the right way to love others as well. Be your own best friend and see how you are never lonely anymore. Create your own happiness within yourself and then the world will see it too. It is important to find yourself first and then a man for yourself. Be the kind of woman who asks for nothing but gets it on her own. 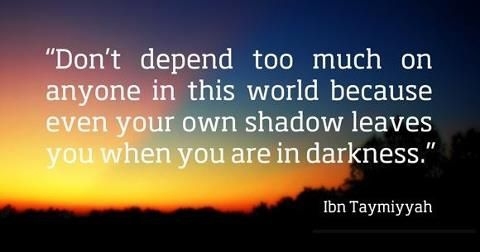 That's why it's important to be self-sufficient. Be strong and rely on yourself to find freedom. You need to adjust to yourself before adjusting to the world. Love yourself and you can live even when you are no more. You don’t know but you are much braver than you think you are and you surely can survive on your own. Who needs Superman when you have you own self. When you are peaceful inside you do not disturb others as well. Being emotionally dependent is an important part of being self-sufficient. That's the main message from those self-sufficiency quotes. 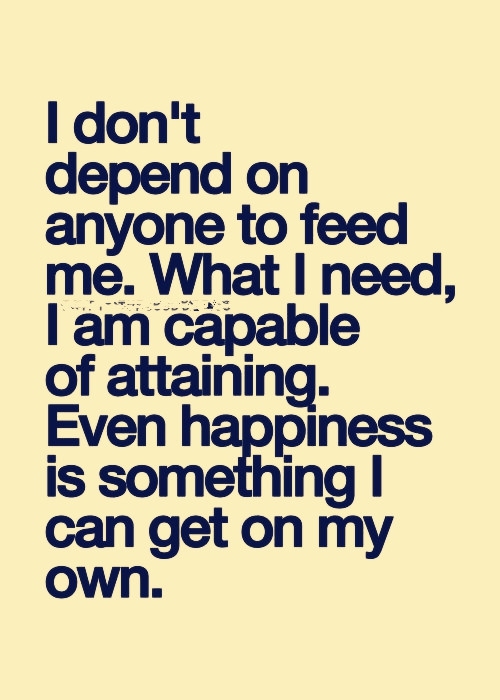 Being independent makes you happier. That's the kind of attitude we are looking for.